djkardkreations: Smooches for CAS Watercolour! It's football fever in this country because the Super Bowl is tomorrow! Did you know that more corn chips and avocados are consumed on this one day than in the entire rest of the year?! I just made that up, but I wouldn't be surprised. Based just on our household. 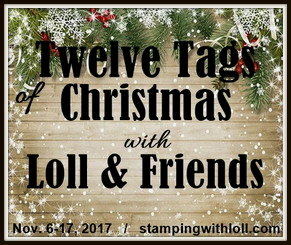 But that's tomorrow and today I'm having a crafty good time coming to you as the Guest Designer for the very fun CAS Watercolour Challenge! The brief this month is the timely color challenge of Red & Pink! Here is my card to inspire you! I talk a lot about smooching on this blog because I think the world can always use more smooching! I brought out some old faithfuls for this card: an old Penny Black stamp, an old Paper Smooches (more smooching!) sediment, and some ancient heart pp! The rectangle frame is popped up for some dementia. Of course, the little critters in the image were drawn by the stamp artist as mice, but I had to quick do some snipping so you-know-who would think they are hamsters. I don't know if you think I succeeded, but I fooled Hammy, so mums the word, 'k? Everything was colored with my Ziggies, winked by Hammy, and for some extra interest, I finished by glossifying the Os in SmOOches. 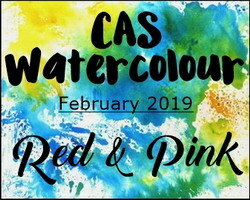 I hope you'll bring out your romantic reds and passionate pinks, or your rollicking reds and playful pinks, and join in the CAS Watercolour Challenge! The challenge is open until February 24, 2019. The talented DT have lots of amazing inspiration waiting for you on the CASWC blog! Penny Black Saturday Challenge: Anything goes or Flowers. As long as I had my various heart pp on my desk, I decided to make a Twofer using a NBUS set of dog dies from Impression Obsession. Using my Clarity Brushes and spun sugar DI, I first added a heart to the front linen panel using a stencil. The terrier is standing on a heart cut from fun foam (unglossified) and both dogs were also cut from a dark brown card and the two papers were layered to form a shadow. I believe the LOVE sediment is from Paper Smooches. Cards in Envy: Love me, love my pet. CAS Mix Up Card Challenge: Dimensional die-cuts, plus stamping and stenciling. Inkspirational: Sweet Things photo inspiration. 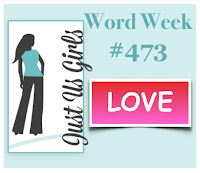 Just Us Girls: Word week: Love. TIME OUT: Home Sweet Home photo inspiration. Have you ever heard of it? 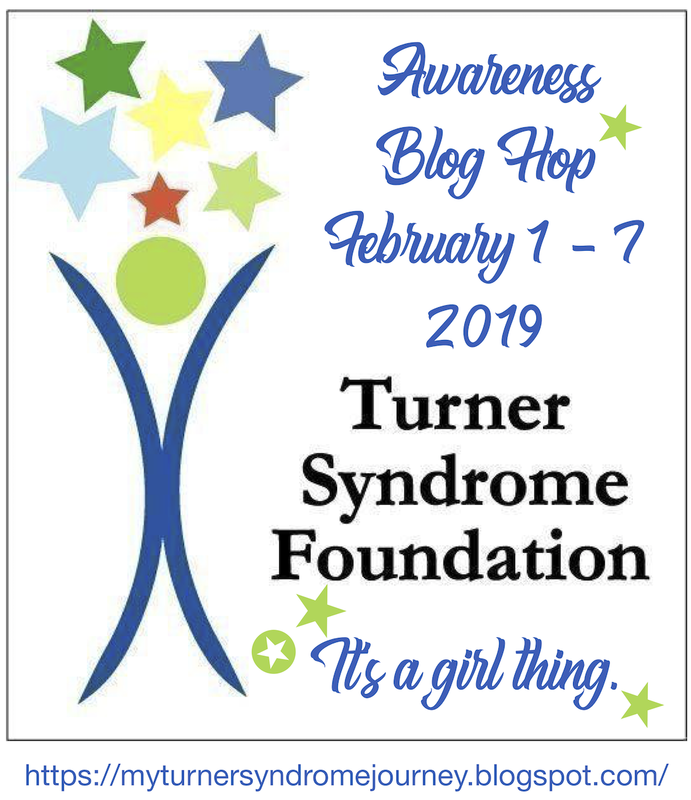 I hadn't until yesterday when I saw that a Turner Syndrome Awareness Blog Hop is being held from February 1-7, 2019, hosted by Lori Kobular. 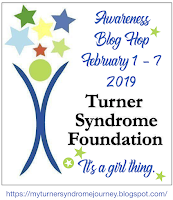 Turner Syndrome is a genetic disorder where females are born with only one X chromosome, instead of two, leaving them with medical issues and life-long learning disabilities. If you have a few minutes, please check out the Hop where you can find more information and, in turn, you can help spread the word on your blog! Prizes are being drawn from among those who leave comments on the Hop designer's blogs. Have a fun weekend and I hope your favorite team wins! Hearts, hearts everywhere. Must be the time of year. Hammy has got to be pleased with this sweet Valentine. So cute and they look just like him. And you've got to know if there's a dog on a card I'm going to love it. The shadow you added really makes these two pups come to life. Congratulations on your GD, Darnell. Pink and Red colors of the month for sure. You lil mi no Hamsters are so cute under that canopy of love. Your second card is also fun-those hearts make for fab dalmatian dots. You not only fooled Hammy but you fooled me. When I first saw the little creatures, I thought hamsters. They are adorable all snuggled up under the mushroom. I love the sentiment and frame too. Your doggie card--perfect for dog lovers. Congrats on your GD, LOVE the cute mice.... Ehm... hamsters and the popped frame! Brilliant use of the same pp for the second card! 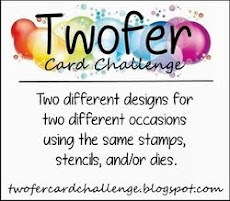 Two fabulous CAS cards with really cute image and lovely colours and colouring. Have I ever told you that you are barking mad but make just purrfect cards. Couldn't resist that after seeing your second card. She cut off their tails with a carving knife.............or just took white out and got rid of them. Now that you mention it they do look like Hamsters. Unless that's the power of persuasion. Either way it's a cute card. Smooching is a good thing. Both of these are just loverly, Dolly! Love the pair of hamsters smooching under that pretty flower! Love that stamp! And your hearty pooches are just as adorable! Love the big stenciled heart in the center! Thanks so much for being our Guest Designer at CAS Watercolour this month! PS Tell Hammy he did a fantastic job too! Cuteness overload today, Darnell, and that's always okay by me! Did you make the first card for Hammy? Your snipping could fool the most observant among us. I really love how you cut the dogs from heart paper on your Twofer. Got me thinking, inspiration-wise. I made my hubby's Valentine months ago for one of your Twofer challenges, and probably won't have time for more this year, sniff sniff. Congratulations on the GD spot at CAS Watercolour this month, Darnell! Those hamsters under the flower umbrella are too cute! Are they Hammy and his girlfriend? Did you know that he was dating with her? ;-P Your Zig watercoloring makes them look much more adorable! The heart pp is perfect to set off this lovely smooching scene. The second doggy card is fun and playful. Love the brown shadow effect. You ARE the Queen of Towers! CAS? Watercolor? Sounds like they picked the perfect GD for their blog! Your cards are so cute with the furry friends on them. I totally thought those little mice WERE hamsters. Without their tails, they absolutely look the part. No wonder Hammy was fooled. I am also still working on Valentines--just a few left to make. They're fun, though. Maybe I can try some water coloring on one of them. Two awesome love cards Dolly! LOVE those sweet hamsters cuddling together under the flower umbrella. Such a sweet image that you've coloured to perfections. The little hearts paper is just the perfect addition. 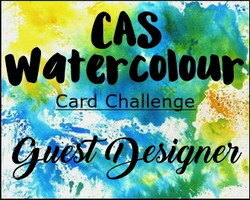 Thanks so much for being our Guest Designer this month at CAS Watercolour!! two very sweet cards Darnell love those sweet little mice. Also wanted to thank you for your kind words in reference to mum. THey are very appreciated. ps - you are a 'no reply blogger' at this time. Hi Darnell, Both the cards are fab. Would never think to put pink and red together, but it goes well. Two fabulous cards Darnell. I totally adore those sweet little hamsters, clever bit of surgery there as well. And the pooches are also brilliant, always such clever designs from you, with a helping paw from Hammy of course. Lots of love shared today Darnell, sweet sweet cards and talking of LOVE can I thank you for the introduction to Di and her PSP. 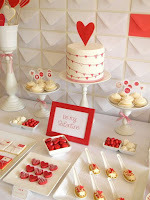 I'm so glad that the love in blogland is 24/7 and not just the month of February. Sunday Hugs to you yourself and Hammy. Both of your cards are adorable! When I saw your first card I thought of hamsters right away. I really like the design of your first card and the little rows of hearts. And super colouring of that sweet image and congrats on being GD. And so good to see your second card at Ink and Time Out-super take from both challenges. Adore that pink heart and the puffy red one! Oh golly, your mice morphed into hamsters is fantastic, Darnell. I love the soft colors and the winkifying. They look adorable under the flower umbrella. So sweet! Your doggie love card is frolicking good fun too. The main heart is so soft and pretty. Great way to showcase the doggies, too. Wonderful work my friend. I learned a lot about the syndrome from that hop. Great idea to run it! It's critter love on your card today, Darnell. The dogs cut from heart paper express 'puppy love' but it's those darling hamsters that I love. Maybe it's the Hammy influence. To know him is to love him. Congrats on your guest designer spot, your design and watercoloring are fabulous! 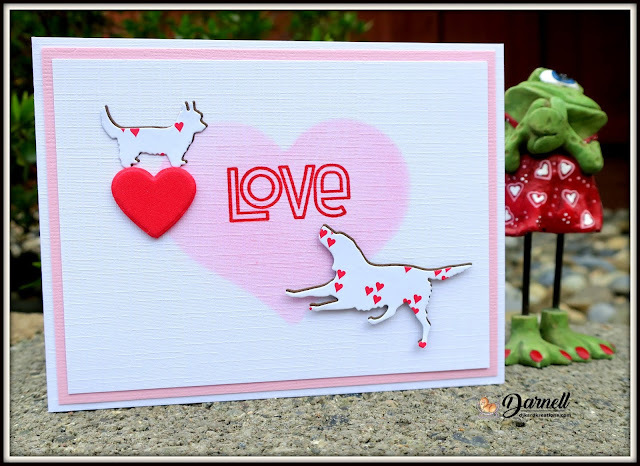 Your second card with the hearted dogs and stenciled heart is adorable too! Congrats on being guest designer! And a "snoozy" card! Enjoy your weekend! Congrats on the guest designer gig! Such cute cards! Congratulations on being GD and what a cute card you made. I know you're not a doctor but you play one on the the blog. 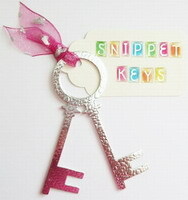 A snip here, a snip there! Hammy has to be pleased to see this card. The little hearts framing the panel look so sweet. Love those charming dogs, especially the one perched on the red heart. So adorable. Congratulations on the GD spot! You are the queen of CAS for sure and bit cards are so adorable! Love how you snipped them into little hamsters! Congrats on being the GD. The Penny Black stamp is an oldie but a goodie and will not go out of style as one can always tweak it. I love both of these CAS cards Darnell! So adorably sweet! 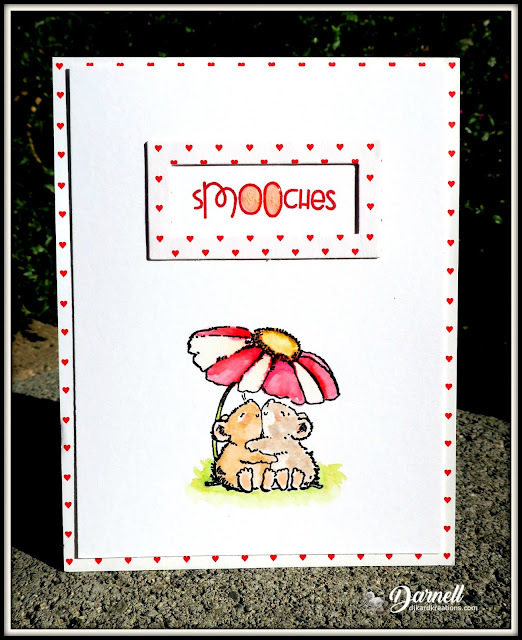 You cannot have enough smooching in this world....What an adorable and super cute first card. Loving the 'Hamsters' and your secret is safe with me x. Wonderful CAS second card and how clever is that dog to balance on the heart??? Wonderful composition, love the PP and the masking of that very pretty heart. Thanks for joining in the CAS Mix Up Challenge x. What a fabulous twofer you have given us today and I particularly love the smoochie one. I have that stamp too - carefully removed from the wooden block when I was on a mission to cut down on the space my stamps took up. As a result the rubber stamps are all in one bag and terribly neglected. Thanks for the reminder to give them some attention. I'm just getting over a three-week virus and feeling better now. Hope you are keeping well. The image on the first card is just adorable and I do think they could easily be hamsters! I love how you used the pp on the dogs in the second card, the larger dog reminds me of a dalmation, although I have never seen one with red spots/hearts. Two adorable cards! Love the sweet little mice hugging under the flower! Thanks for using it for your GD spot at CAS Watercolour! But even more, being the dog person that I am, I love your second card with those great dog dies cut out of heart-patterned paper - what a brilliant idea for a valentine! WOW! what a unique card you have here Darnell. Simply amazing and so very cleverly made. 'LOVE' it. Lovely to see you joining us at Just Us Girls and so glad you did. Thank You. ahhhhh this is adorable!!!! thanks for playing with Cards In Envy!!! Congrats on guest DT, Darnell - just love your pink & red creation with the sweet hamsters!! And what a darling bonus with the heart covered dogs - love!! Yay, congrats on being their guest designer! Those little hugging hamsters are extra cute all snuggled under their flower umbrella. Your second card is wonderfully CAS. Both are delightful! How cute! Love your CAS design, Darnell! Thanks for playing along with us at Cards in Envy. Looking forward to seeing your creative projects in the future galleries again. Congrats on your GDT and you made a beautiful card for it, love the colouring. Your second card is just ingenious - love those hearts on the animals and the shadow effect. Wonderful CAS design Darnell, love the dogs with the hearts DSP. 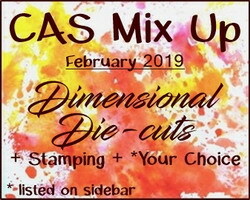 Thanks for sharing at CAS Mix Up this month. Since these mice are rather chubby I think they make perfect hamsters without their tails. Cute! And the doggies, so sweet, They look like Dalmatians with hearts instead of spots. Love your both card, so cute!! The second remember me to miy dog and his doggy friend. I am late commenting again, but life should slow down a bit soon and I will hopefully be able to get back and do mire commenting. Love your Smoochin' cards Darnell - the top one is swoonlingly adorable, and the dogs, well i think they are rather sweet, and that comes from a cat lover! Two super cards Darnell, I certainly think your 'snipping' worked, they look adorable. I love the heart papers, both as background papers and also on your die cut dogs. It's always fun to pop in and see what you are up too! Two super cards!!! Love the small heart paper a lot and love the way you incorporated it on your dog card. I would have never thought to use DP on dog images...but it works!!! Love your cozy hamsters too! So happy to see you linked up at JUGS as well...so thanks for that too! HUGS! Such great cards! I love your 'Love" card!!! Its just so adorable! Thanks for sharing at JUGD this week, Darnell! 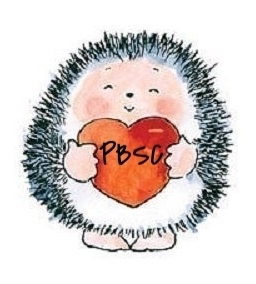 Thanks for sharing at the PBSC too! I had to tell you my daughter's staying with friends in Finland & is sharing a room with a hammie!!! Your GDT card is so sweet! The doggy card has my heart, though--love it! such an adorable card Darnell!! so happy you are our GD this month. Such adorable cards, Darnell. I especially LOVE those doggie dies and using the heart PP for them was a great idea. It is always a joy to see you anywhere, especially at Time Out! Thanks for playing with us. darling! Perfect to make a bunch for your friends with dogs! What cute cards. Clean and simple but very cute. 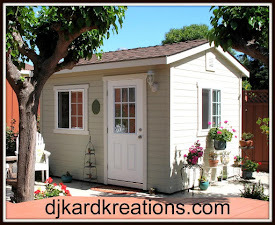 Thanks for sharing and joining the challenge at Love to Craft Challenge Blog.